Choosing the right financial advisor isn’t an easy task. Not only do you have to be willing to have open, honest conversations about money, but you also need to find an advisor that you trust to make good financial decisions on your behalf. Whether you’re building for retirement, saving for a home, or putting money away for your family, establishing a solid partnership with a financial advisor in New Jersey is a great way to ensure that your investments are safe, secure, and poised for growth. When selecting an NJ financial advisor, you’ll want to make sure that they have the expertise, transparency, values, and the services to match your unique financial needs. 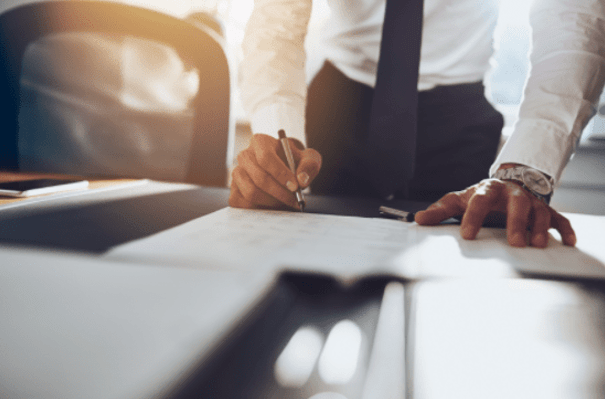 For New Jersey residents, we’ve compiled a list of the best NJ wealth management firms and the best NJ financial advisors to put you on track towards reaching your long-term financial goals. When it comes to choosing the best financial advisor in NJ, there are plenty of firms to choose from. How can you narrow the search? First, take a close look at what each financial planner in NJ has to offer, and match those services up with your own personal financial goals. 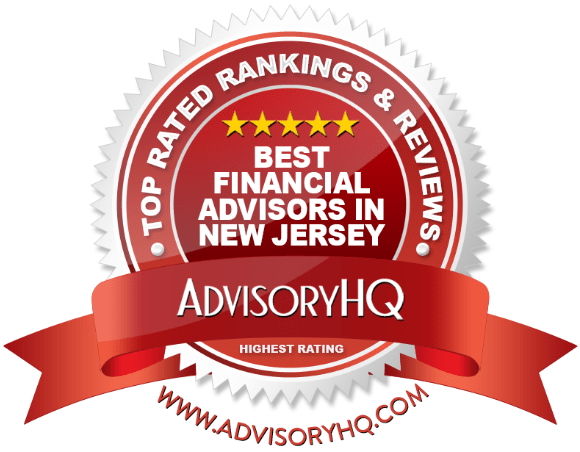 As you will see in the following reviews for wealth management firms in NJ, each of the best financial advisors in New Jersey specializes in varying areas of financial planning and wealth management. If your needs are of a broader nature and you wish to have peace of mind through simple yet comprehensive financial planning, you may be well-suited with a financial planner in NJ that offers a broader range of services. 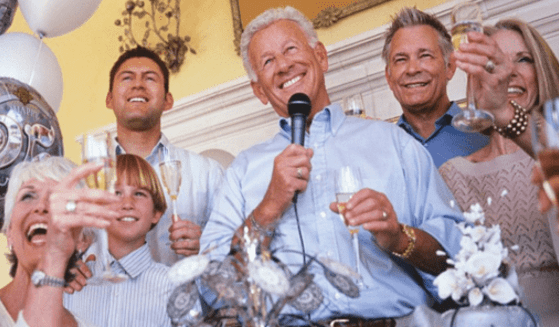 Once you’ve narrowed down your choices to a select few of these top-ranking NJ wealth advisors, see if any of your selected advisors offer an introductory consultation session. Whether it’s a free or paid consultation, this can be a good way to “feel out” a prospective financial advisor in NJ before committing to their services. Below, please find a detailed review of each firm on our list of the best wealth management firms in NJ. We have highlighted some of the factors that allowed these NJ financial advisors to score so high in our ranking. Located in Fair Lawn, New Jersey, Baron Financial Group is an independent, fee-only financial planner in NJ. This top NJ wealth management firm prides itself on comprehensive, personalized service from a highly-qualified team of investment professionals, assigning each client two advisors and a client relationship specialist. Just as no two NJ wealth advisors are alike, each client brings their own unique financial needs and goals. What truly makes this NJ financial advisor stand out is their focus on providing tailored services for women and families with special needs, detailed below. This commitment to providing valuable financial services for women has paid off—Baron Financial Group has received the Women’s Choice Award consecutively from 2013-2018. 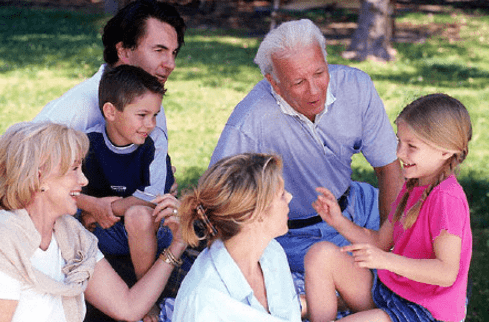 Baron Financial Group recognizes that families with special needs members have unique—and often complicated—financial goals and requirements. 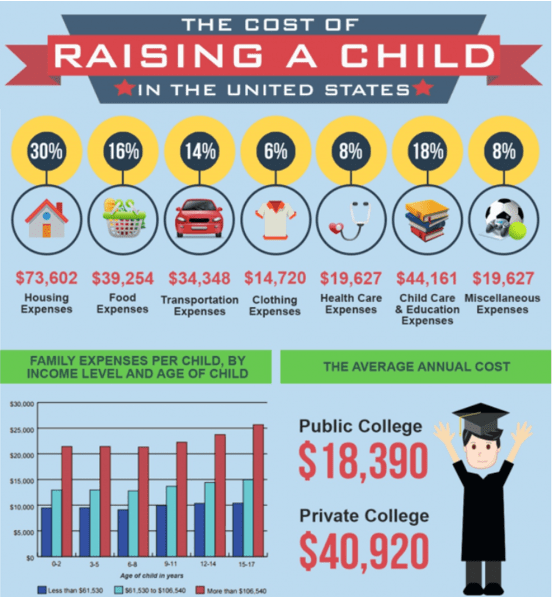 Coordinating a financial plan between special needs children and their parents isn’t always easy, which is why finding an experienced NJ financial advisor is crucial. As one of the top financial advisors in NJ, Baron Financial Group is committed to designing portfolios to help every client reach their financial goals, which means using an expert approach to asset management. This includes choosing to hire—or replace—investment managers and fund managers based on research and analysis to find the best long-term fit, rather than making emotional decisions. This focus on long-term growth and data-driven analysis makes Baron Financial Group one of the best financial advisors in NJ for residents to consider. As one of the best financial advisors in New Jersey, Baron Financial Group employs a detailed, client-driven investment philosophy to help portfolios reach their maximum potential. With unique areas of specialty, a fiduciary commitment, and a fee-only structure, Baron Financial Group earns a 5-star rating as one of the top wealth management firms in NJ. Based in Warren, New Jersey, Chartered Financial Services, LLC is one of the top fee-based NJ wealth management firms to consider partnering with. 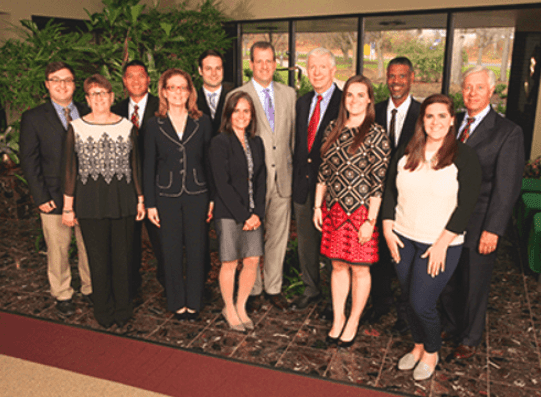 Composed of six advisors and six support staff, the team at Chartered Financial Services is close-knit and experienced, bringing decades of professional experience and certifications to the table. As one of the best financial advisors in New Jersey, Chartered Financial Services employs a thorough approach to provide successful financial planning services for their clients. Chartered Financial Services is owned and operated by John R. Benton and his wife and business partner, Nina Benton. In 2011 and 2013, their daughters Emily Benton-Fissel and Sara Benton joined the team. It’s rare to find an NJ wealth management firm that is family-owned and operated, making Chartered Financial Services a best New Jersey investment advisor for clients that want a close-knit, family-oriented environment. As a fee-based firm, however, Chartered Financial Services has some room for improvement when it comes to transparency. Although there are links pointing potential clients to learn more about what fee-based planning entails, those links were not functional at the time of this writing. Understanding what to expect in pricing for financial services is not only crucial for potential clients to evaluate a firm but also for transparency, resulting in a 3-star rating for Chartered Financial Services. Serving clients since 1989, HFM Investment Advisors is an independent, fee-based firm of NJ wealth advisors in Glassboro, New Jersey. As a top financial advisor in NJ, HFM strives to set clients up for success, no matter what their unique financial plan entails. Clients can rest assured that this financial advisor in New Jersey will take the time to thoroughly understand all their financial needs and goals, creating long-term relationships by listening, coaching, and teaching. No matter what their goal is, HFM is committed to diligently crafting the best financial plan to help clients reach their own success. For this best financial advisor in New Jersey, empowering clients through education and communication is paramount. 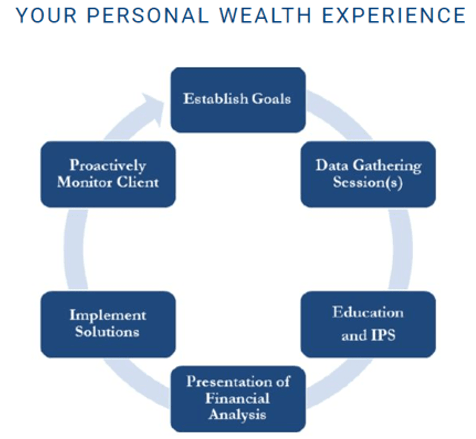 The NJ wealth advisors at HFM will help clients understand their portfolios to better prepare them for financial challenges throughout the investment process, providing confidence and clarity. Closely related to coaching is accountability, which means helping clients understand investment strategies and their impact over the long-term. The thought of retirement can be intimidating, particularly because the process often begins decades in advance. What if Social Security pays less than expected? What if one person—or both—needs a long-term care facility? Is our retirement lifestyle sustainable? Can our income keep up with inflation? With so many unforeseen costs and life events, effectively planning for retirement can be challenging, which is something that this best financial advisor in New Jersey embraces. Financial management services at HFM range from traditional to niche financial services, making them one of the most comprehensive and best financial advisors in New Jersey. HFM also offers a close-knit, insular staff, making them a great option for anyone looking for a boutique financial planner in NJ. However, compared to other firms on our list of the best financial advisors in New Jersey, HFM does not have a wide range of certified professionals for clients to choose from. Only two staff members have industry certifications within the financial planning and wealth management industry, which may make it challenging for clients to access industry-specific expertise. By putting an emphasis on professional development and increasing the certifications among their staff, HFM could easily earn a 5-star rating as a top NJ financial advisor. Located in Wayne, New Jersey, HIGHLAND Financial Advisors, LLC is an independent, fee-only financial advisor in NJ. As one of the best financial advisors in New Jersey, HIGHLAND maintains a thorough, detailed, and personalized process to help high net worth clients reach their financial goals. As an independent, fee-only NJ financial advisor, HIGHLAND is committed to offering sound financial advice, not pitching sales. This means that they do not receive any outside commissions for selling financial products, nor do they sell insurance. Closely related to fee-only services is the fiduciary commitment that all HIGHLAND advisors have taken. As a fiduciary, HIGHLAND advisors each have a legal duty to set aside any conflicts of interest to pursue the best financial solution for each and every client. This commitment shows that HIGHLAND puts client trust and transparency first, making them one of the best financial advisors in New Jersey to consider. As one of the best financial advisors in New Jersey, HIGHLAND strives to set clients up for success as early as possible, creating thorough and personalized financial plans. Achieving Your Goals—Clients and advisors work together to discover, explore, and clarify financial needs to create a plan for retirement, income tax, and investments. Protecting Your Lifestyle—Advisors discuss potential risks and make recommendations on appropriate coverage plans. Planning Your Legacy—Clients understand how to reach their financial goals, along with any trusts, wills, or estate planning needs. Meeting Your Unique Needs—As needed, your advisor will provide additional financial planning services like college planning, business planning, and even executive benefits planning. For those on the hunt for a financial advisor, HIGHLAND Financial Advisors offers a strong value proposition. The firm boasts credentialed and experienced advisors and a client-centric process, earning HIGHLAND a 5-star rating and making them an excellent choice for new and seasoned investors alike. Located in Red Bank, Lighthouse Financial Advisors, Inc. has been a top New Jersey investment advisor since 1999. As a fee-only, fiduciary NJ wealth management firm, LFA works in the best interest of their clients, forgoing any commissions or kickbacks. With no minimum or maximum dollar requirement, this NJ financial advisor is open to anyone who needs financial assistance, regardless of their asset size. For many investors, finding a trustworthy, principled NJ financial advisor is the best way to ensure that their funds are held responsibly. Every day we strive to deliver excellence and outstanding customer service because we never forget our clients are people with hopes, dreams, desires and fears. It is my hope that you get to experience our passion, caring, professionalism and dedication to helping you on your unique journey. 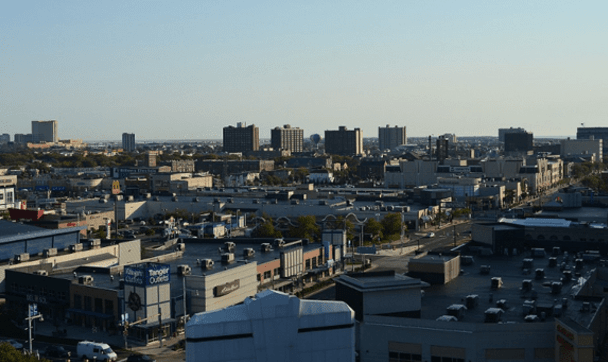 Not many wealth management firms in NJ focus on creating this type of connection, making LFA stand out as one of the best financial advisors in New Jersey and solidifying their 5-star rating. Modera Wealth Management is a fee-only NJ wealth management firm with over $2 billion in assets, offering financial services to individuals, families, trusts, institutions, and philanthropic organizations. Their focus is on providing objective advice, personalized attention, and comprehensive resources to help clients with at least $1 million in investment assets to successfully manage their wealth. Modera Wealth Management uses a long-term approach to all investments, working closely with clients to foster relationships and encourage portfolio growth. As defined by this NJ wealth management firm, their investment philosophy consists of four related components, listed below. Modera creates, implements, and manages diversified portfolios for their clients, ensuring that each portfolio is customized to meet individual financial goals. For this financial advisor in New Jersey, a fulfilling investment experience comes from successfully managing risk. As a result, Modera emphasizes downside protection to construct risk-conscious portfolios, ensuring reliable long-term results rather than unreliable, short-term performance. To reduce volatility and improve risk management, this financial planner in NJ uses disciplined diversification of asset classes for each portfolio. This includes measuring the performance, volatility, and correlation characteristics across multiple asset classes. Backed by academic research, Modera maintains that the best way to ensure long-term performance is to actively manage securities. As such, each asset class is thoroughly vetted, acquired inexpensively, and consistently monitored. As a top-rated NJ financial advisor, Modera Wealth Management applies a client-centric approach to wealth and portfolio management, combining the resources of a large firm with the one-on-one attention of a boutique firm. With a commitment to independence and a fiduciary duty to always put the client’s needs first, Modera Wealth Management is one of the best financial advisors in New Jersey, earning the firm a 5-star rating. Founded in 2002, Mullooly Asset Management, Inc. is a family of fee-only investment advisors located in Wall Township, NJ. Using what they call “the H.U.M.A.N. Approach,” this top NJ financial advisor seeks to help clients achieve and enjoy “a work optional lifestyle” through calculated, efficient advisement. Finding a reliable, trustworthy financial planner in NJ often depends upon whether a firm has taken a fiduciary oath. Mullooly Asset Management operates underneath the fiduciary standard, meaning that they are legally obligated to fully disclose all information and act in each client’s best interest at all times. Closely related to the fiduciary standard is Mullooly Asset Management’s commitment to offering fee-only financial services. Clients can rest assured that this best financial advisor in New Jersey maintains fee-only practices and philosophies, meaning that the firm does not receive commissions, kickbacks, or incentives for any financial products. With fee-only management, clients can rest assured that they are receiving transparent, unbiased advice, as the firm’s success is defined by each client’s individual success. The team meets each morning to discuss pertinent market and economic data, review our investment research, and analyze our investment positions. This ensures each client investment position is thoroughly researched and continues to be actively monitored over time. This emphasis on collaboration and teamwork also applies to the relationship between advisor and client. As one of the best financial advisors in New Jersey, Mullooly Asset Management is committed to providing clients with the confidence and fortitude to bypass short-term downfalls and keep their sights on long-term benefits. 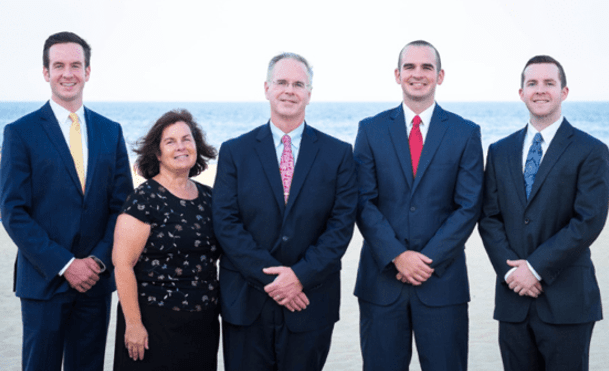 It’s rare to find wealth management firms in NJ that are family-owned and operated, which makes Mullooly Asset Management stand out among other competing NJ financial advisors. Their emphasis on transparency, teamwork, and honesty has given them second and third generation clients, which certainly speaks to the successful connections made between clients and advisors. While potential clients will find that the small, close-knit team at Mullooly Asset Management provides a personalized financial planning experience, it is worth noting that only one team member carries an industry certification (CFP®). Professional designations are not only a way to demonstrate that a firm is committed to ongoing education, but also that an advisor is up to date on industry trends. By putting their focus towards ongoing education, Mullooly Asset Management could easily earn a 5-star rating as a top financial advisor in NJ. Founded in 1998, Private Wealth Management Group is a fee-only New Jersey investment advisor and financial planner located in Princeton. As one of the top financial advisors in NJ, Private Wealth Management Group seeks to provide high net worth clients with peace of mind to spend time creating a passionate, fulfilling life, rather than worrying about financial matters. Private Wealth Management Group holds themselves to a fiduciary responsibility within all client advisement, meaning that the firm is always acting in their client’s best interest. Closely related to the fiduciary standard is Private Wealth Management Group’s commitment to offering fee-only comprehensive wealth management. To create a complete, individualized strategy, Private Wealth Management Group employs comprehensive financial planning. As a top NJ wealth management firm, Private Wealth Management Group puts a strong emphasis on giving clients the support and educational resources they need to make sound financial decisions. The Investing Insights and Knowledge Center are both filled with resources on investment philosophies, market reviews, industry commentary, blog posts, and more. With a firm commitment to transparency, fiduciary duty, and a fee-only structure, Private Wealth Management Group is one of the best financial advisors in New Jersey to consider partnering with this year. One of our picks for the best financial advisors in New Jersey is SageBroadview, a fee-only NJ wealth management, tax, and financial planning firm in Morristown. Along with their Morristown office, this top financial advisor in NJ also serves clients through their Farmington, CT and Burlington, MA offices. Not all financial advisors in NJ are prepared to handle the unique financial challenges held by busy professionals and business executives—like taxes, employee benefits, or stock options—which is where SageBroadview truly shines. Their niche focus on business and corporate professionals makes SageBroadview one of the best financial advisors in New Jersey for busy professionals looking for guidance through an array of personal and business-related financial challenges. SageBroadview provides a comprehensive client experience by combining Financial Life Planning, Money Management, and Tax Management into one seamless approach. Perhaps the most beneficial pillar comes from tax management, a financial factor that is often overlooked throughout the financial planning process. For business professionals, integrating tax management is particularly important. It can help minimize tax obligations, budget for any applicable payments, and ensure that there are no surprises come tax season. While each category offers its own unique benefits, combining the three creates a unique, holistic approach to financial management. This three-pillared approach to financial planning sets clients up for success in every aspect of financial planning, making SageBroadview stand out as one of the best financial advisors in New Jersey. SageBroadview maintains a strong commitment to honesty, transparency, and client service, making them a great financial advisor in New Jersey for new clients to consider. In fact, as one of the best financial advisors in New Jersey, SageBroadview prefers to care for a manageable number of clients that can truly benefit from their advisory services, rather than accepting as many clients as possible. This limitation means that NJ financial advisors can provide personalized attention to financial goals that match their unique skillset, maximizing financial growth and solidifying SageBroadview’s 5-star rating. Stonegate Wealth Management is a fee-only investment and financial advisor in New Jersey. Located in Oakland, this NJ financial advisor is well-equipped to serve a variety of clients, including business owners, inheritors, executives, medical professionals, retirees, and entrepreneurs. There are plenty of advisory and wealth management firms in NJ, but how do you know that you are partnering with the best NJ financial advisor for you? 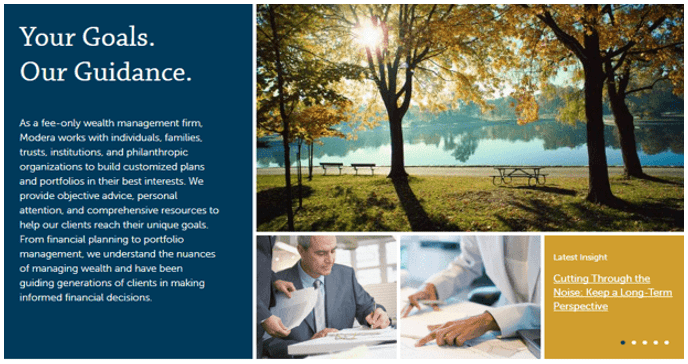 Part of what makes Stonegate one of the top financial advisors in NJ is the vast range of experience held by the firm. The senior wealth managers at Stonegate Wealth Management have a combined experience spanning more than 100 years in the financial industry. This best financial advisor in New Jersey prides itself on remaining effective through two guiding principles: strong client relationships and customized financial plans. The average client base at Stonegate Wealth Management stems from individuals, families, and corporate retirement plans with considerable investment assets. For this NJ wealth management firm, research is a key component to the success of the client and of the firm. As one of the top financial advisors in NJ, all their planning strategies and investment methodologies are based on extensive, up-to-date research. It isn’t easy to find a financial planner in NJ that you fully trust to responsibly manage your finances. While part of establishing trust comes from creating a positive relationship between clients and advisors, it also comes as a natural by-product of fiduciary responsibility. The NJ financial advisors at Stonegate Wealth Management are strong advocates for periodically re-evaluating financial plans. This allows for adjustments as needed and keeps an open line of communication within the client/advisor relationship. With a continued dedication to putting client needs first and building relationships, Stonegate Wealth Management earns a 5-star rating as one of the top wealth management firms in NJ. Finding a good financial advisor in New Jersey can place you on the path towards financial security, making financial advisors in NJ essential to successful wealth management and financial planning. Whether you’re looking to begin a retirement fund, save for college, set aside money for your children, or simply learn how to better manage your money, there are plenty of great financial advisors in NJ to choose from. Before selecting a financial planner in NJ or partnering with an NJ wealth management firm, take the time to evaluate and define your personal financial goals. By keeping your unique financial needs and goals in mind, you’ll be well-equipped to identify the best financial advisor in New Jersey for you.